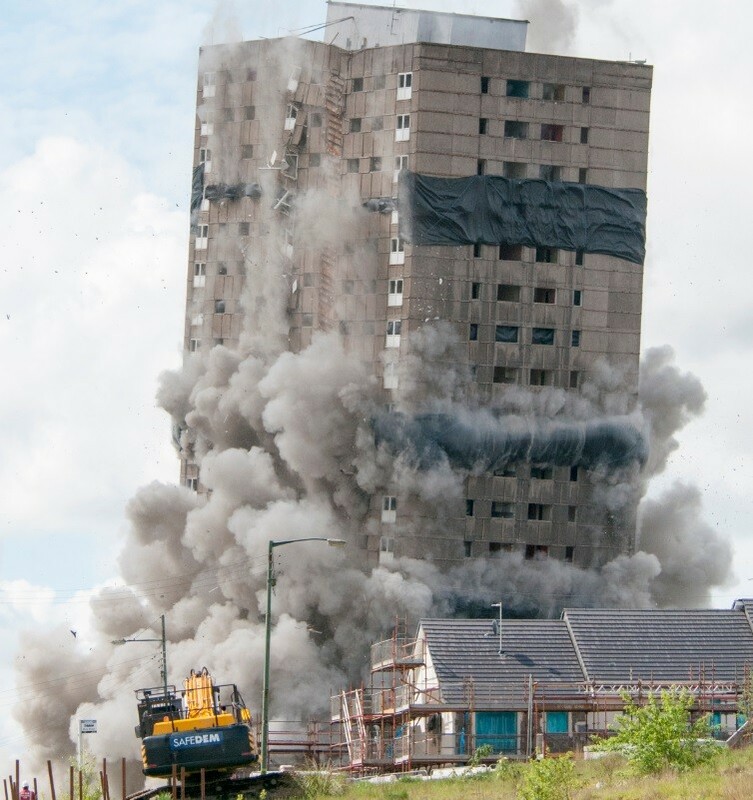 Glasgow Housing Association has carried out the latest demolition in their ongoing housing renewal programme with the removal of a 25 storey tower block at Rosemount Street, Roystonhill. 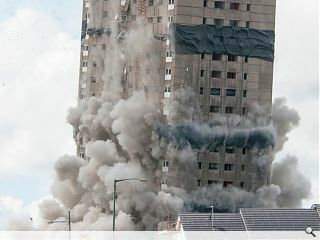 The Sunday morning blowdown will clear land for an additional 45 homes following on from the delivery of 55 homes on the site of a neighbouring tower block felled in in 2013. David Fletcher, director of regeneration for GHA's parent company, Wheatley Group, remarked: "The demolition allows us to complete the next phase of our plans with the local community to build more energy-efficient, family-friendly homes for our tenants. A clear up operation is now in full swing although it is expected to take several months to grind the 10,000 tonnes of rubble into road aggregate. The day these are all destroyed will be a good one.